EXCLUSIVE Cookery Classes Offer for Cactus Students with La��atelier des Chefs! L’atelier des Chefs, one of the UK’s most well-known and well-regarded cookery schools, is partnering with Cactus Language to offer all of our students an exclusive discount on their hands-on cookery classes with professional chefs. With two schools located in London’s Oxford Circus and St Paul’s, last year L’atelier des Chefs taught over 30,000 people to master a wide range of dishes and cuisines, earning them the TripAdvisor Certificate of Excellence. 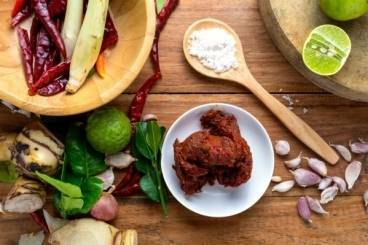 Whether youa��re studying French, Spanish, Italian, Portuguese, Japanese, Arabic, Hindi or Thai, L’atelier des Chefs has a range of cookery classes which will deepen your understanding of the culture and the language, and will help you explore and discover the foodie culture of the language you are learning! *Terms & conditions for CACTUS promo code: 10% off the price of classes outlined and expires December 31st 2017. Please note this offer doesna��t apply to 30min classes or Private Events. Additionally this offer is not valid on classes that are already discounted or used in conjunction with other offers/vouchers.